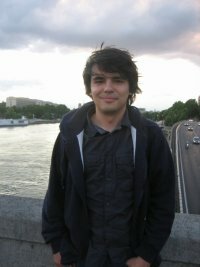 I'm a research scientist at Google DeepMind. I completed a PhD in Machine Learning at the University of Toronto working under the supervision of Geoffrey Hinton. Before that, I completed a Master's degree in computing science at the University of Alberta where I was supervised by Csaba Szepesvari. Volodymyr Mnih, Koray Kavukcuoglu, David Silver, Andrei A. Rusu, Joel Veness, Marc G. Bellemare, Alex Graves, Martin Riedmiller, Andreas K. Fidjeland, Georg Ostrovski, Stig Petersen, Charles Beattie, Amir Sadik, Ioannis Antonoglou, Helen King, Dharshan Kumaran, Daan Wierstra, Shane Legg, Demis Hassabis. In Nature, 518: 529–533, 2015. PhD Thesis, University of Toronto, 2013. In IEEE Trans. Pattern Analysis and Machine Intelligence, 2013. In Proceedings of the 29th International Conference on Machine Learning, 2012. In Proc. of The 27th Conference on Uncertainty in Artificial Intelligence, 2011. In Proc. of Computer Vision and Pattern Recognition Conference, 2011. In Advances in Neural Information Processing Systems 23, 2010. European Conference on Computer Vision, 2010. Master's Thesis, University of Alberta, 2008. In Proceedings of the 25th International Conference on Machine Learning, 2008. In Journal of Field Robotics, 23: 1091-1104, 2006. In ASEE/IEEE Frontiers in Education, 2005.